Customizable, embeddable, and always synced with your event. Let PheedLoop do all the heavy lifting for your event's website. The last thing you want as an event planner is to constantly keep your website, guides, apps, and more in sync with the latest event data. Well, PheedLoop streamlines all of that, automatically. 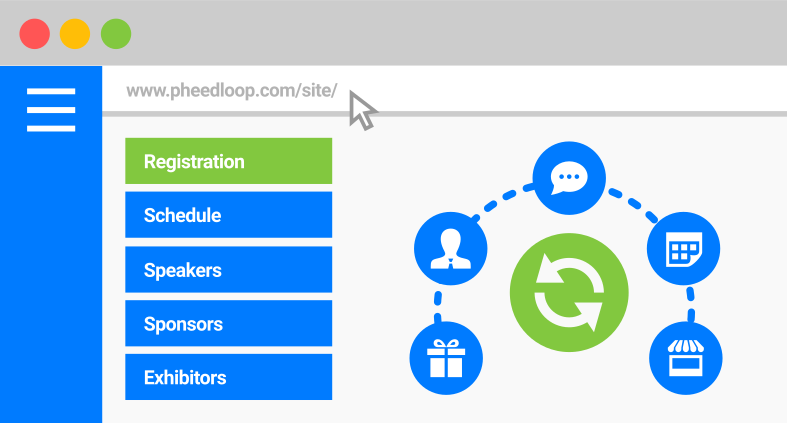 PheedLoop has beautiful and easy to navigate pre-built sections for schedules, speaker, exhibitor, sponsor profiles, registration, and more. Investing in building and maintaining a website, or even just a part of it, takes valuable time and money. Our goal with PheedLoop is always to empower planners and let them focus on what they do best - plan events! PheedLoop's event website features allow planners to offload their efforts. And our designers are always standing by to help you add that extra bit of flare to your website! We understand that some events may have their own external websites which they'd rather use - no worries! Grab code snippets for any section you like, and embed them directly into your own website. PheedLoop allows you to take complete control of the design and content of your website, and we're always here to help! 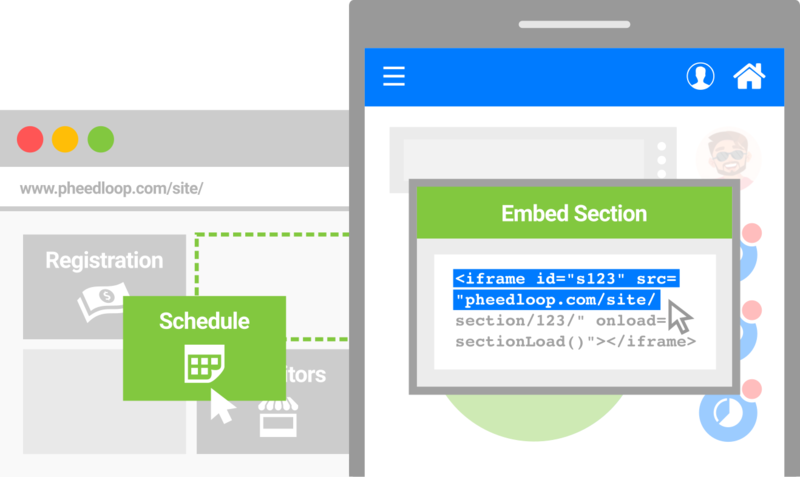 Custom pages, sections, links, and tracking code snippets are all supported! Can I add custom pages? Yes, adding custom pages is super easy, and modifying the default ones is just as simple. You can even add custom external pages, which allow you to link to external websites. Is the website mobile compatible? The event website is designed to work on any type of device and browser. Even custom pages and section you add will work great on mobile devices. How does website embedding work? 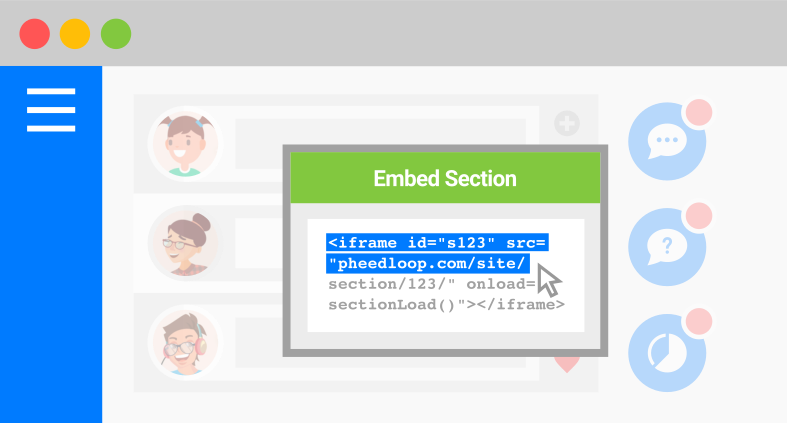 PheedLoop allows you to embed any section (e.g. schedule view) in an external website. All you have to do is copy and paste the iFrame code into your own website, and you're good to go. By default, the website's URL is based on the name of your event and is an extension of the PheedLoop domain. Many events like to URL forward or URL mask to help with branding purposes. How does custom styling work? PheedLoop's rich-text editor allows you to stylize your custom text/images, but to take complete control, you can apply custom CSS and HTML. Our designers are also available to help! How long does the website stay live? Your event website doesn't have an expiration date. As long as your event lives in the PheedLoop system, so does your website and your ability to refer back to it. Can I embed custom scripts/pixels? Absolutely! If you'd like to install custom scripts like Google Analytics or Facebook Pixels, please reach out to our team and they'll happily help you out. What kinds of analytics are there? 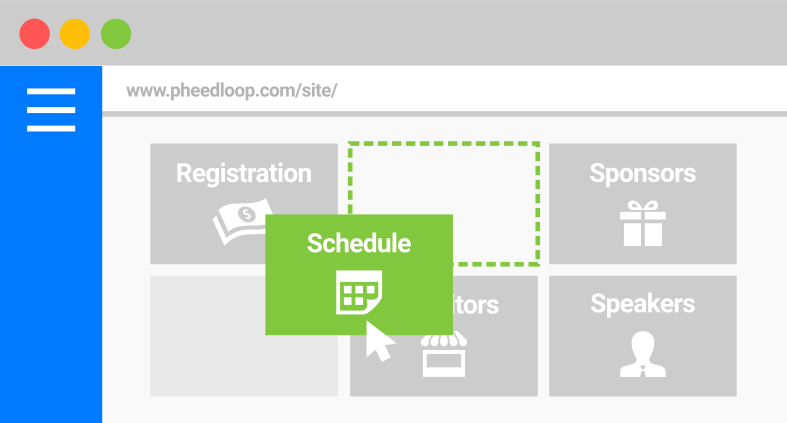 PheedLoop tracks a bunch of key data points for your event website, such as page visits, clicks, location, device types, and more. This data is available via your admin dashboard.